Dr. Garbee is a Professor of Clinical Nursing at Louisiana State University Health Sciences Center School of Nursing. She received an Associate of Science in Nursing from Louisiana State University Health Sciences Center, a Bachelor of Science in Nursing from Loyola University, a Master in Nursing from Louisiana State University Health Sciences Center, and a Doctor of Philosophy degree from the University of New Orleans. 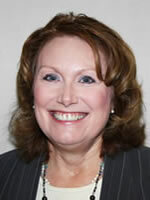 Dr. Garbee is an Advanced Practice Registered Nurse and is board certified as an Adult Health Clinical Nurse Specialist. Currently, she serves as the Associate Dean for Professional Practice, Community Service, and Advanced Nursing Practice at LSUHSC. She is the clinic administrator for the nurse managed clinics which are funded by a HRSA grant titled “Restoring Primary Care for Underserved Elders in Post-Katrina New Orleans East.” She is a certified reviewer for Joanna Briggs Institute. Dr. Garbee serves as a peer reviewer for The Journal of Mixed Methods, the International Journal of Nursing Education Scholarship, Clinical Nurse Specialist Journal, and the JBI Database of Systematic Reviews and Implementation Reports. She serves as committee member and reviewer for many regional and national organizations including Ochsner Clinic Foundation, the National Association of Clinical Nurse Specialists, Louisiana State Nurses Association, the Louisiana Nurses Foundation, and the Society for Simulation in Healthcare. Garbee, D.D., Pierce, S., & Manning, J. (2017). Opportunistic fungal infections in critical care units. Critical Care Nursing Clinics 29, 67-79. Adorno, M., Garbee, D., & Marix, M. (2016). Advanced literature searches. Clinical Nurse Specialist, The International Journal for Advanced Nursing Practice, 30(3), 141-144. Adorno, M., Garbee, D., & Marix, M. (2016). Improving literature searches. Clinical Nurse Specialist, The International Journal for Advanced Nursing Practice, 30(2), 74-80. Tartavoulle, T.M., English, R., Gunaldo, T.P., Garbee, D., Mercante, D.E., Andrieu, S.C., & Johnson, J.L. (2016). Using the IDEA Framework in an interprofessional didactic elective course to facilitate positive changes in the roles and responsibility competency. Journal of Interprofessional Education and Practice, 2, 21-24. Martin, J.B., Garbee, D.D., & Bonanno, L. (2015). Effectiveness of positive end-expiratory pressure, decreased fraction of inspired oxygen (FiO2), and vital capacity recruitment maneuver on prevention of pulmonary atelectasis in patients undergoing general anesthesia: A systematic review. The JBI Database of Systematic Reviews and Implementation Reports, 13(8) 211-249. Paige, J.T., Garbee, D.D., Brown, K., Rojas, J.D. (2015). Using simulation in interprofessional education. Surgical Clinics of North America, 95, 751-766. Gunaldo, T.P., Andrieu, S.C., Garbee, D., Giovingo, L.K., Mercante, D.E., Tortu, S., & English, R. (2014). Student perceptions about interprofessional education after an elective course. Journal of Interprofessional Care, October 14: 1-2. Paige, J.T., Garbee, D.D., Kozmenko, V., Yu, Q., Kozmenko, L., Bonanno, L., & Swartz, W. (2014). Getting a head start: High fidelity, simulation-based operating room team training of inter-professional students. Journal of American College of Surgeons, 218(1), 140-149. Garbee, D.D., Paige, J.T., Barrier, K., Kozmenko, V., Kozmenko, L., Zamjahn, J., Bonanno, L., & Cefalu, J. (2013). Interprofessional teamwork among students in simulated codes: A quasi-experimental study. Nursing Education Perspectives, 34(5), 339-344. Garbee, D.D., Paige, J.T., Bonanno, L.S., Rusnak, V.V., Barrier, K.M., Kozmenko, L.S., Qingzhao, Y., Cefalu, J.E., & Nelson, T.K. (2013). Effectiveness of teamwork and communication education using an interprofessional high-fidelity human patient simulation critical care code. Journal of Nursing Education and Practice, 3(3), 1-12. Garbee, D. D. & Killacky, J. (2008). Factors influencing intent to stay in academia for nursing faculty in the southern United States of America. International Journal of Nursing Education Scholarship, 5(1), 1-15.